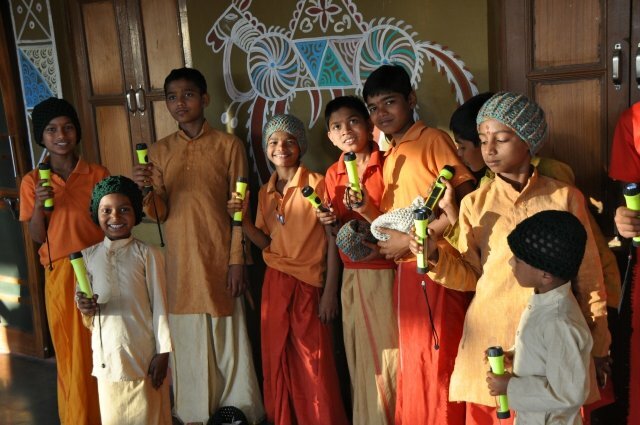 Home/India/Solar Lights Provided to Children of Ma Anandamayi Foundation, Omkareshwar, India. Solar Lights provided to the Children of Ma Anandamayi Foundation, an organization dedicated to supporting projects for impoverished women and children in India. Children of Ma Anandamayi Foundation is an organization dedicated to supporting projects for impoverished women and children in India. We primarily support the Anandamayi Ma ashram and school in Omkareshwar, India. 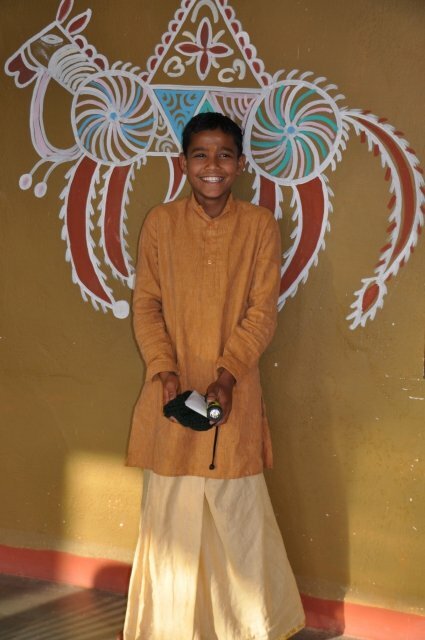 The ashram is home for 30 boys, ages 5 to 25, many of whom are from very poor families or have no family of their own. 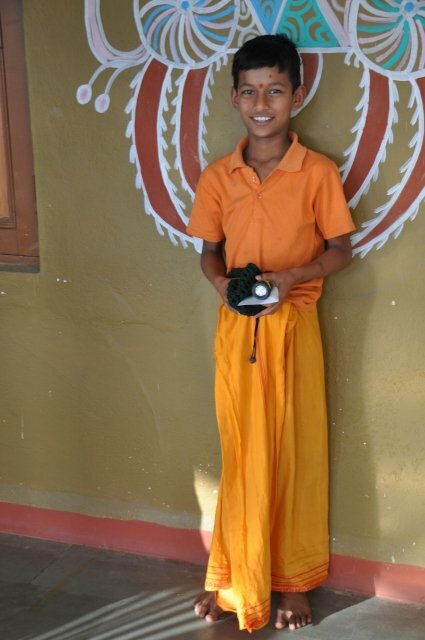 Swami Gurusharananda has observed that these boys flourish with the opportunity to live full time in a loving community, even though they are likely the most disenfranchised of all the students. I included one picture of some of the boys standing on the land where a new ashram and school are being built. The new ashram and school will be called Ma Sharanam Ashram, based on the teachings of India’s great saint, Anandamayi Ma. Ma Sharanam means “In the refuge of Ma.” The new school and ashram will be housed on 4.5 acres near Barwah in view of the Narmada River, where the construction of basic structures has recently begun. 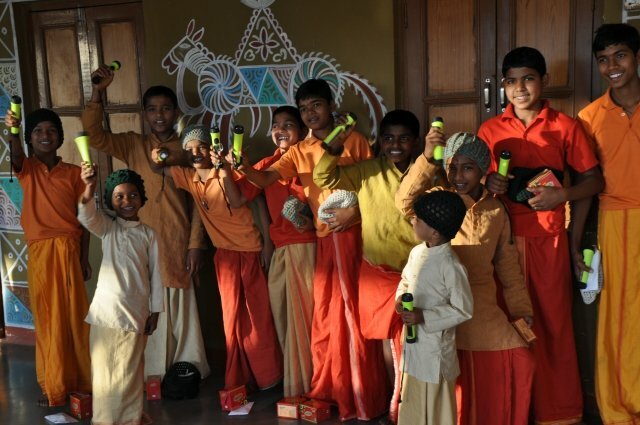 The new torches were very useful for the boys in the former ashram and will also be very useful as they transition to the new ashram, where electricity will initially be limited to a few essential buildings. Thank you so much for the wonderful donation of solar flashlights for our beautiful boys!